Liverpool have rejected an offer worth £30m from Crystal Palace for striker Christian Benteke. The bid of £23m up front plus £7m in add-ons follows a previous offer of £25m, which was turned down. 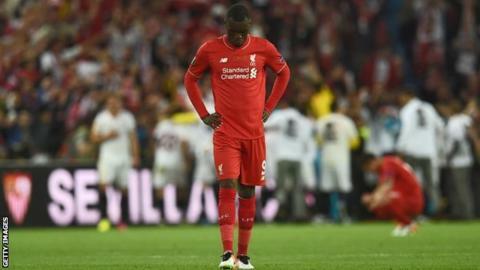 Benteke, 25, has fallen out of favour at Liverpool since boss Jurgen Klopp took over last October, starting only eight league games. He joined the Reds for £32.5m in July 2015 under former boss Brendan Rodgers and has scored 10 goals. Benteke has indicated he will seek to leave if not in Klopp's plans. Palace sold winger Yannick Bolasie for £25m to Premier League rivals Everton on Monday.